Reading is an essential part of childhood success. Not only does reading provide a high-quality pastime for a child, but it also increases their ability to learn and understand the world. With this in mind, many parents and caregivers eagerly look forward to the time when the children in their care will learn to read. Every child travels this path at a unique pace, but there are steps you can take to make the path easier. By gently encouraging your child to read, you help foster a love of reading that will remain with them throughout their lives. Many parents begin emphasizing reading skills at the preschool level. However, research shows that a child’s reading ability and interest begins to develop from birth. Speaking often to your newborn, singing songs, and telling stories all contribute to your child’s understanding of language and love of narrative. A “language-rich” environment is essential for a baby’s brain development. This means they are seeing and hearing words throughout the day and in many different contexts. When you sing, read, and speak to babies, their brains absorb and process all that input. The more quality (i.e., loving and attentive) input they receive, the more language understanding they develop. This linguistic understanding is the foundation of their future reading success. Of course, when encouraging your child to read, the best tool you have is reading aloud to them. You can begin reading to your children on the day they are born and continue doing so long after they read independently. When you read, allow small children to hold and explore the book with all their senses. As your child develops preferences, encourage them to choose the books you read. This may result in reading the same few books time and time again, but repetition is part of the process too. Create positive feelings about reading by making it a special bonding time with your child. The comfort and sense of belonging they feel about you will translate into a love for books as well. Modeling is a very important part of teaching young children. For this reason, it is very effective for you to spend time reading independently as well. You can arrange a “reading time” each day when you and your child sit in the same room and read your own books. Or if you prefer something less formal, make a point to carry a book in the car or in your bag so that you can pass the time reading when you find yourself waiting. Your own choice to read has the effect of encouraging your child to read without you needing to say a word. When you regularly read and use diverse language with your child, they will begin to make connections between words and stories and the world around them. This could be as simple as phonemic awareness, like “blue and bear start with the same sound.” Or it could be larger themes they see, such as “I’m feeling sad like the character in the story we read.” Every time your child connects their reading to the rest of the world, their brain develops a richer understanding of language. To encourage this sort of growth, ask questions as you look at books together. Ask them what they notice. Point out things that are the same or different. Books are an excellent place to practice letters and counting because it uses those concepts in context. 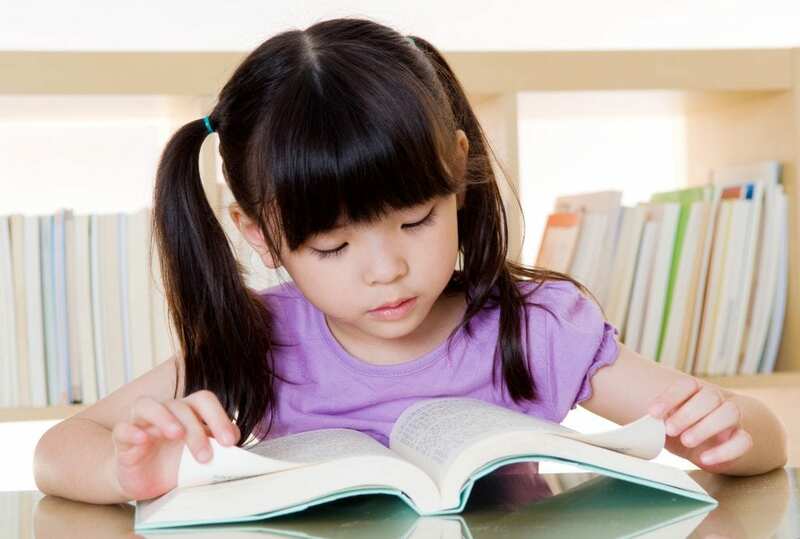 Interacting with books in more diverse ways helps your child develop the curiosity that independent reading requires. Some children begin reading independently before kindergarten while others require more time and direction. However, whatever the pace of your child’s learning, if you are by their side offering encouragement, they will be proud of what they accomplish. Encouraging your child to read means far more than practicing flashcards. Instead, it is cultivating a love for language and stories that they will maintain their whole lives. Are you looking for childcare in a language-rich environment that is dedicated to encouraging your child to read and thrive? Consider Legacy Academy. Call or visit one of our centers today for more information.